If I told you that a guy from Germany created a centipede inspired taxidermied chicken would you be surprised? 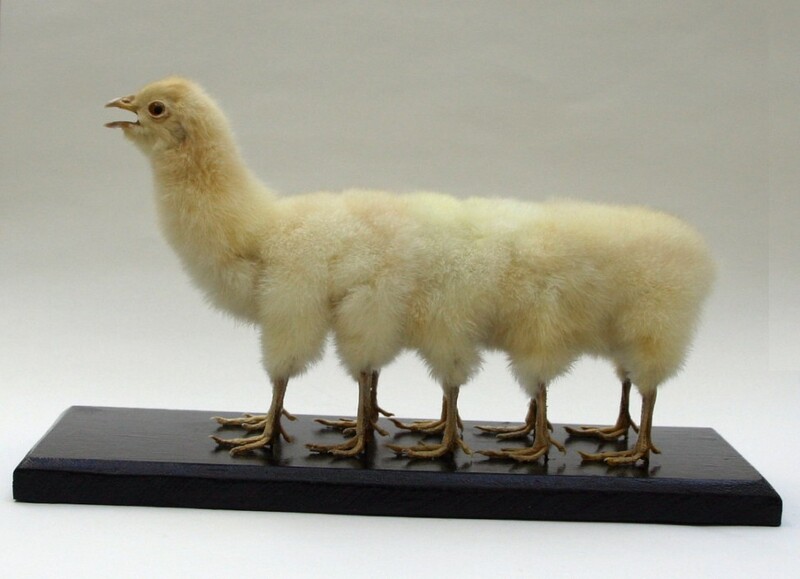 This bizarre chicken is skillfully created by combining the lower half of four chickens with the backend of one lucky chicken to create the ultimate decapod. 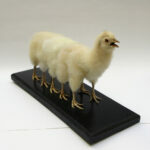 Each decachicken is professionally preserved, mounted on wooden plank, and finished off with hand painted glass eyeballs. The creator, Casperscreatures, would like us all to know that all the chickens used in these curiosities are a byproduct of the egg industry. No animals were killed or harmed for the sake of this mega chicken.